Choirs Ontario’s mission is to foster vibrant, inclusive and accessible choral communities by providing programs, services and resources; creating opportunities; and engaging Ontario’s diverse population in the transformative power of choral music. Choirs Ontario offers a range of programs and resources, as well as networking and professional development opportunities, which help members build capacity, develop leadership and grow and diversify their audiences. Our goal is to raise profile and quality of choral music, support the choral community, and educate the next generation of choral artists and audiences. 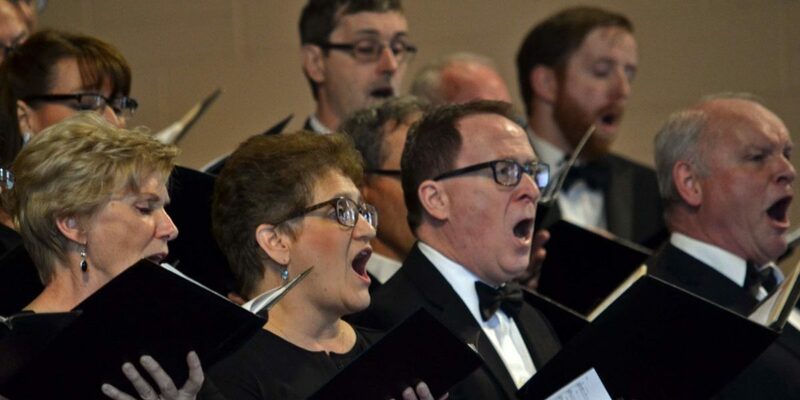 The organization celebrates the achievements of choral music and promotes public awareness of the art form through several awards and competitions, including the President Leadership Award and the Ruth Watson Henderson Choral Composition Competition. These awards are designed to recognize the accomplishments of individuals who have contributed to Ontario’s choral music through conducting, composition, and community leadership. Choirs Ontario is an important contributor to the health and vitality of the choral community. As an arts service organization, we work towards increased public involvement in the choral arts, more sustainable and diverse arts organizations and better supported artists. Rather than duplicating the artistic goals of our constituents, we strive to identify gaps and offer programmes that promote creative efforts of our members and forge learning and networking opportunities. Our services include research and advocacy, professional development resources and career opportunities, access to shared resources such as insurance and choral library, access to grants, and participation in forums, seminars and workshops. There are approximately 1.9 million active choristers living in Ontario, accounting for just under 15% of the population in the province or almost 1 in 7 Ontarians. This estimate includes half a million youth under the age of 18. Our members include professional and amateur choirs, singers and audiences, businesses and institutions. There are an estimated 11,300 choirs in Ontario. Fifty-eight percent (58%) of these are religious choirs, 31% are school choirs and 11% are community or professional choirs. Choirs Ontario (formerly Ontario Choral Federation) was established in 1971 to promote, support and celebrate choral music across the province. The same year, Ontario Youth Choir (OYC), a summer intensive choral training program for youth, was launched. Since its inception, Choirs Ontario has fostered community-based opportunities and training programmes that develop the skill and knowledge of choristers, conductors and administrators. Choirs Ontario has played a significant role on the national choral scene, hosting a number of Podiums (National Choral Conferences). Choirs Ontario was the first provincial choral organization to collect and publish research on the extent and impact of choral activities in its region in 2011. In 2013, Choirs Ontario has undergone restructuring of the Board to provide regional representation from across the province. In 2014, SingONtario, an annual choral festival for community choirs, and Choirs Ontario on the Road, workshop series in regions across the province, were launched. SingOntario serves vocal groups of all ages and genres, focusing on choral growth and development through performance, non-competitive adjudications and workshops with accomplished clinicians. Choirs Ontario on the Road is designed to develop and deliver professional development workshops across the province and is a great resource for small organizations and groups unable to travel to Toronto. To this day, Ontario Youth Choir continues to be our most successful and longest-running program. There are over 1,800 OYC alumni who continue to enrich their communities as choristers, conductors, accompanists, composers and educators. Choirs Ontario has of one full-time employee. Elena Koneva started with the organization as an Office Manager in July 2016 and was promoted to the Managing Director position at the end of 2017. The Board of Directors consists of 13 members from across Ontario with a broad collective expertise in the field of choral music. Our board members have active careers as educators, administrators, conductors and composers. Choirs Ontario continues to recruit cross-regional representatives to the board with members from north, east, west, and central Ontario. The Board of Directors is supported by a seven-member Advisory Council of leaders in the choral field, representing professional choral organizations. Elaine Choi contributes to Toronto’s vibrant music community as a conductor, adjudicator and collaborative pianist. She is a four-time recipient of the Elmer Iseler Fellowship in Choral Conducting. As Director of Music at Timothy Eaton Memorial Church, Elaine oversees four choral ensembles including singers from age 5 to 80. As an active adjudicator and clinician, Elaine has worked at the Toronto Kiwanis Music Festival (2016-2018), Toronto Mendelssohn Choir’s Singsation Saturday! (2015) and CAMMAC’s Reading Sessions (2016). From 2010-2017, Elaine was the conductor of the Toronto Chinese Orchestra. Elaine recently completed doctoral studies in choral conducting at the University of Toronto under the tutelage of Dr. Hilary Apfelstadt. Her research focuses on Mandarin lyric diction and Chinese choral compositions. Mark Vuorinen is Artistic Director of the Grand Philharmonic Choir and Assistant Professor of Music at Conrad Grebel University College, University of Waterloo, where he is responsible for the choral music program. He holds a master’s degree in music from Yale University School of Music and Institute of Sacred Music. And earned the Doctor of Musical Arts degree from University of Toronto. He is President-elect of Choirs Ontario. He is past director of the Toronto Chamber Choir, a leading early-music ensemble and has given first performances and Canadian premieres of works by many composers. Recent concert highlights include performances of Beethoven’s Missa Solemnis, Benjamin Britten’s War Requiem, Arvo Pärt’s Credo and Passio, John Estacio’s The Houses Stand not Far Apart (co-commissioned by the choir) and Richard Einhorn’s moving soundtrack, Voices of Light, as an accompaniment to the silent film, The Passion of Joan of Arc. A recipient of many awards, Mark was named the E. Stanley Sedar Scholar at Yale University and is a recipient of the Elmer Iseler National Graduate Fellowship in Choral Conducting from the University of Toronto. Mark is a past recipient of the Women’s Musical Club of Toronto Centennial Foundation Graduate Fellowship. He received the David and Marcia Beach Summer Study Award from the University of Toronto for studies in Germany with leading Bach scholar and conductor Helmuth Rilling. In 2016, Mark received the Leslie Bell Prize for Choral Conducting from the Ontario Arts Council and a National Choral Award (Outstanding Dissertation) from Choral Canada. Mark’s research interests include the study of contemporary choral literature from the Baltic states, and in particular, the music of Arvo Pärt and Veljo Tormis. Mark was an invited lecturer at the Arvo Pärt Project’s Sounding the Sacred conference in New York City in May 2017. He is published in Circuit Musiques Contemporaines and the Research Memorandum Series of Chorus America. Mark is a frequent guest conductor, choral adjudicator and clinician. Matthew Otto is a Toronto-based conductor, educator, and performer. He recently completed his term as President of Choirs Ontario and continues to establish himself as a vibrant voice on the Canadian choral scene. Since 2010, Matthew has served on the artistic staff of the Toronto Children’s Chorus. As its Assistant Artistic Director, he conducts the Toronto Youth Choir and Chorealis, and co-conducts Chorale. He has directed the TCC’s Chamber Choir on a number of international tours, including to Russia, Poland, Latvia, Lithuania, USA, and most recently at the 2017 World Choral Symposium in Barcelona. Committed to choral excellence, Mr. Otto is founder/conductor of Incontra Vocal Ensemble, a project-based, professional-level ensemble. Now in its fifth season, Incontra provides high-calibre performance opportunities for emerging singers and conductors. Passionate about music’s role in liturgy, he has over 15 years of experience in sacred music and currently serves as Director of Music at Christ Church Deer Park. Mr. Otto has guest conducted the Elora Festival Singers, Toronto Cantata Chorus and University of Auckland Chamber Choir, and was also the Assistant Conductor of Pax Christi Chorale. From 2011 to 2013, he served as Associate Conductor of the Toronto Mendelssohn Choir and helped prepare the singers for appearances with the Toronto Symphony Orchestra. Matthew is currently pursuing a PhD in Music Education at the University of Toronto. His research interests include belonging, agency, and the role of vocal pedagogy in choral music education. Ophelia Chang is a governance, risk, and controls professional experienced in leading complex, large-scale projects across geographies to strengthen business environments and processes. With nearly a decade of work experience and as a Master’s of Science (MSc.) in Technology Management from Wilfrid Laurier University, she possesses a proven track record of success in all areas – people, process & technology – necessary for successful enterprise transformations. Ophelia plays piano for leisure – something she has been doing since the age of three, and was part of the school choir in her early teens. She is also a strong advocate and promoter of the arts, having been actively involved in events-based volunteering within the arts and culture community including Markham Little Theatre’s production of “Enchanted April”, Little Pear Garden’s “Venom of Love” production, Opera Atelier’s Versailles Gala, Autism in Mind’s annual fundraising concerts, Raise the Rhythm’s fashion show fundraiser, and York Region Arts Council’s “Arts After Hours” event. Her not-for-profit board experience includes a three-year term as Secretary for the Etobicoke Historical Society. Melanie Tellez is an experienced conductor, clinician and pedagogue, with a Bachelor of Music in Voice and Choral Conducting from Dalhousie University and a Master of Music in Choral Conducting from the University of Alberta. Melanie currently directs the Early Education Music Programme at Hillfield Strathallan College and has been a conductor with the Hamilton Children’s Choir since 2010.A finalist in the 2012 Sir Ernest MacMillan Foundation Award in Choral Conducting, Melanie is an emerging leader in Canada’s choral community. 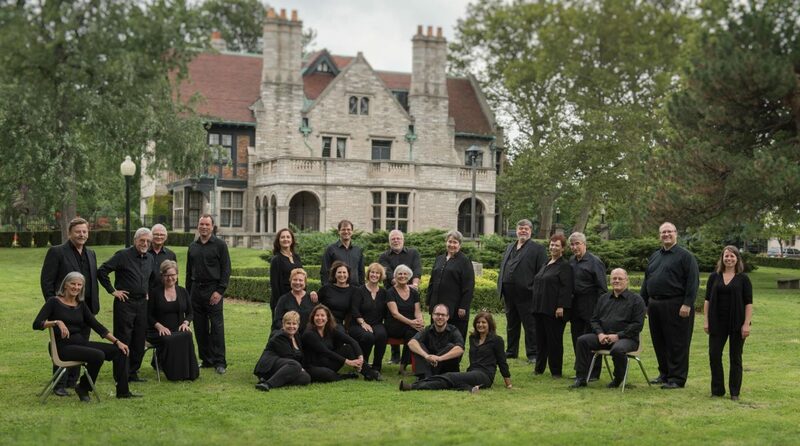 Past engagements include: Toronto Children’s Chorus, High Park Choirs of Toronto, Chorus Niagara Children’s Choir, Sherwood Park Festival Singers, and The King’s University College Concert Choir. Carole Anderson received her Bachelor of Music at the University of Western Ontario where she studied choral conducting with Deral Johnson. During her 35-year teaching career Carole taught music at all grade levels and was a music consultant in both Brant and Peel Districts. Recently retired from the Peel District School Board, Carole taught for the last 15 years at Thomas Street Middle School in Mississauga where her choral and concert band ensembles were recognized for excellence at local, regional and national festivals. At the 2011 National Music Festival of Canada the Thomas Street Middle School Chamber Choir was awarded First Place in the David Ouchterlony class and was selected by the adjudicators to receive the Paul J. Bourret Grand Choral Award. In the fall of 2012 Carole was honoured by the Ontario Music Educators’ Association with an Honorary Life Membership. Since 2006 Carole has been an Associate Conductor with the Toronto Children’s Chorus and currently conducts three of their five training choirs. Carole acknowledges the kind encouragement and mentorship of the Toronto Children’s Chorus founder Jean Ashworth Bartle, whose workshops she first attended in 1982, and the inspirational vision and guidance of current artistic director, Elise Bradley. Au rythme des années, Robert Filion cultive l’excellence du chant choral. Franco-Ontarien d’origine, il dirige des chœurs depuis plus de vingt ans. Son travail auprès des chorales est reconnu d’un océan à l’autre. Les ensembles vocaux De La Salle ont été sacrés Champion national à quatre reprises. M. Filion est tout aussi connu pour son talent musical que pour ses qualités de directeur artistique. Depuis 2011, il est le directeur artistique du festival Unisong au Centre national des Arts. M. Filion a été le chef invité des Chœurs de jeunes au Nouveau-Brunswick et en Alberta. Il travaille en étroite collaboration avec l’Orchestre du Centre national des Arts pour les concerts avec chœurs de jeunes. Robert Filion cherche à innover, à surprendre et à faire entendre toutes les musiques. Il a dirigé les premières canadiennes de maintes œuvres ainsi que de l’opéra « Angel Square » de Clifford Crawley. M. Filion est enseignant agréé de l’Ontario et membre de Choirs Ontario, l’ACCC et de l’ACDA. Ms. Hawley has presented at numerous events including Festival 500, Podium and the International Symposium of Singing and Song II. She was on the ACCC Podium committee (Ottawa), wrote the children’s choir column for Anacrusis from 2013 to 2016 and is a Choir’s Ontario Board member. Ms. Hawley has adjudicated for the Alberta Choral Association Choralfest South, Calgary (2016), the Manitoba Choral Federation Choralfest 2018, Winnipeg, and was a jury member for the National Competition for Canadian Amateur Choirs (2017). Ms. Hawley was also the Artistic Director of the Ottawa Children’s Choir and Music Director of its Chamber Choir from 2008 – 2015. Ms. Hawley works frequently with the Education Department of the National Arts Centre and is the Music Director of the NAC’s 500 voice annual Music Monday Choir. Ms. Hawley is the Founder of the Nipiit-Katittut- Voices United (NKVU) educational engagement project which connects choristers with youth in Iqaluit to build community and promote leadership skills, musical artistry and cultural enlightenment. Ms. Hawley is committed to the creation, performance and promotion of Canadian choral music and has premiered over 50 works by Canadian composers. Under her leadership, the Cantiamo Choirs of Ottawa has commissioned and continues to commission one or more Canadian compositions every year. Ms. Hawley was also a teacher with the Ottawa Carleton District School Board and is dedicated to the mission of having all children singing in schools every day. Ms. Hawley continues to give music leadership workshops to Board staff and facilitate workshops for school choirs. Ms. Hawley graduated from University of Toronto with an honors degree in Music Education and from University of Ottawa with a Bachelor of Education. Gary is passionate about helping people and organizations achieve career, business, and financial success. He has worked with start-up entrepreneurs to provide coaching on strategy and execution in the early stages of several businesses. Gary regularly speaks to senior-level students on planning and preparing for the “unplannable” – the twists, turns and curves that the business and financial world will inevitably bring throughout one’s working life. Gary received the PhD from the Faculty of Engineering at the University of Toronto in 1994. He has had a successful career as Aerospace Engineer, Manufacturing Systems Consultant, Business Executive, Entrepreneur and Investor. In 2002, he founded the Primacy group of companies, growing it to become the largest national network of primary care medical clinics in Canada with over 150 locations. Upon the sale of Primacy to Calian Group Ltd in 2012, Gary founded Trumpet Media Canada Inc. – a leading online media company where he currently serves as President. Trumpet Media’s online properties include: HealthLocal.ca – Canada’s largest website connecting Canadians to their local health professionals, VetLocal.org – a worldwide directory of Veterinary hospitals and clinics, ChoralNation.com– an open, online global community for choirs, choristers and choral music lovers, and Fintelligence.ca – an online portal to promote career, business and financial literacy. Gary is an alumnus of the International Space University, the Ontario Science Centre Science School and a former member of the Angel One Investor Network. He is actively involved in several charities and is an Advisor to HealthyPets.io – an exciting new business connecting pet parents with local Veterinarians via online video consultations.